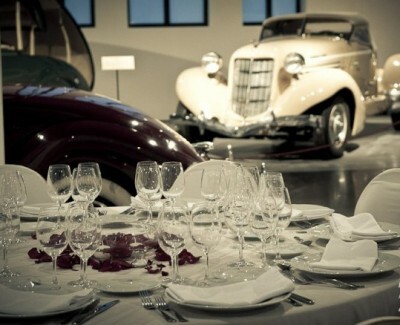 The offer has already begun to move in specialized tourism portals and there are offers including hotel accommodation in Malaga, the collection of the couple in one of the cars in the museum’s collection, wedding and dinner at the central courtyard of the Tabacalera Building. The slightly cheaper version is the thematic wedding in the chapel with the officiant dressed according to the theme asked by the customer. The special offer of themed weddings in Malaga includes photo sessions in the gardens of the museum or in a particular car model, like the Rolls Royce Phantom, which was designed by the very John Lennon. So if you want to marry in a somewhat different “historical scenario” now you have a location in Malaga where you can make your dream come true.